Barley is a very versatile grain that's low in fat and cholesterol free. 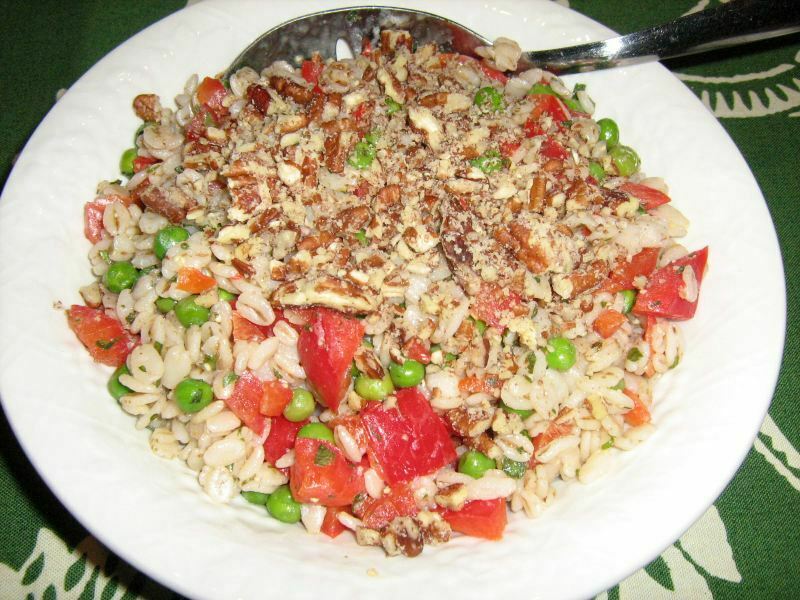 This lemon barley salad is a great way to include this healthy grain in your diet. In fact, barley contains the same cholesterol-fighting soluble fiber, beta-glucan, found in oat bran and dry beans. Half a cup of barley provides 2 grams of protein as well as niacin, iron and manganese with only about 97 calories. Barley can also be substituted for rice in almost any recipe. It has more flavor than white rice but isn't as strong as brown rice so it may be a perfect compromise. Because barley is such a versatile grain, it's a great staple to keep in your cabinet. It can be used in soups, stews, cereal, or baked goods and as we see with this lemon barley salad, it is great in salads as well! Of course we love the flavor of fresh lemons! So this salad not only uses healthy barley and a lot of other healthy ingredients but it combines it all with the wonderful flavor of lemon! We think you'll love it! Stir into barley mixture. Add salt and pepper. refreshing salad we realized we were out of pine nuts!